Clean and safe our hostel is located only 700 meters away from the bus and train station and is surrounded by bars, cafes, grocery stores, cinemas, close to the marina and old port. Everything is close to hand and within easy walking distance of the Old Town and the beauty of the Parc des Champs-de-Bataille. The hostel offers a vibrant friendly atmosphere with French and English speaking staff, happy to help and provide advice on local events and attractions. Made up of dormitories and private rooms; we have the right accommodation to suit your needs. The hostel has a kitchen for use by all those who stay with us. With washing machine and tumble dryer facilities the hostel has all the amenities required for a comfortable and relaxing visit. Enjoy the roof terrace to have your evening meal or simply relax on a sunny afternoon. La Belle Planete is a fun and friendly hostel; with a total of 45 beds across dormitories, of 6 or 8, and private rooms. For one,t wo or three people. Bed sheets, pillows and covers are provided along with blankets and duvets; when required. Many rooms have air conditioning or fans for your comfort. Security lockers are available in the dormitories(please bring your own lock). There are four shower units with hot water 24hours a day. With two computers available free to use and with internet access, you can keep in touch with friends and family while enjoying your stay. With no curfew you can return when you want; the door is secured with a code. We have a communal kitchen for use throughout the day. There is a covered terrace on the first floor and an open roof top terrace which catches the sun morning to evening. There is also a seating area inside that guests can relax in before a night out or after a long day of sightseeing. Quebec City offers an amazing place to visit, with the atmospheric and beautiful Old Town, which is just a 10-15 minute walk from the hostel. The interesting and charming Basse-Ville just around the corner from the Old Port, with stunning views of the Saint-Laurence river. The hostel is walking distance to the Old Port and the Museum of Civilisation. The Citadelle (just the other side of the Old Town) where you can experience the changing of the guards is definitely worth a visit. A Natural Historic Site of Canada, the Citadelle is the largest British fortress built in North America, located just on the edge of the Old Town. Visit in the summer to experience the Festival D’ete (summer music festival), a 10 day music event with stages and acts performing all around the city. Experience the spectacular performances from the Cirque du Soleil, which run throughout the summer months. Come and try the beers of the world in August during Festibiere. Enjoy the Carnival de Bonhomme beginning in the last weekend in January and lasting for two weeks. The biggest winter carnival in the world, taking place at various locations around Quebec City, all easily accessible from the hostel. There is a bus stop located just three minutes walk from the hostel, to go to Montmorrency Falls (about 12 kilometres from Quebec City). Take a day trip and experience whale watching in Tadoussac, just a few hours from Quebec City then return to the comforts of the hostel. Please note check-in is strictly from 16:00 to 21:00. No exceptions. 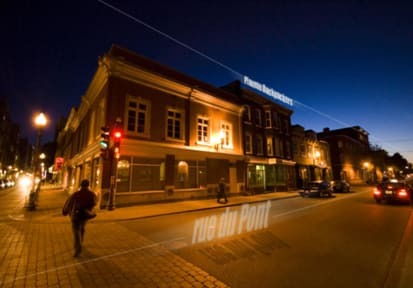 Located within a few minutes walk from the train and bus station; Gare du Palais, it is placed in the vibrant Saint-Roch, just a short walk from the Old Town of Quebec. 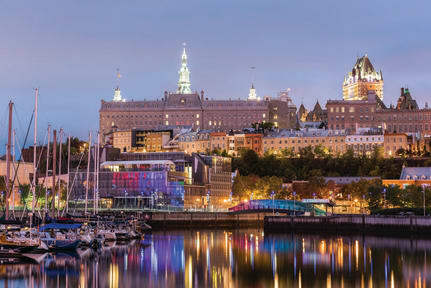 Providing accommodation for people who wish to visit Quebec Old Town and the surrounding areas; with free wifi and internet access. Nice location and great service!!! I enjoyed my time at Belle Planète Hostel - once I got in! Location and price are great! I was a little worried because my train arrived late at 8:40, and I had 20 minutes to run outside, grab a cab, and get to Belle Planète before 9pm, when they close reception AND check-ins! Please either keep reception open later, or create a self check-in process like at any other hostel!!! I was worried I would have to find another place to stay that night or spend the night at the train station! This place is extremely basic, has a very strange smell and is also loud. The beds are uncomfortable, the mattress creaks whenever anyone moves and the pillows are virtually non-existent. The street outside is also very loud as people hang outside of the bar opposite until the early hours. Together this makes it a hard place to sleep and relax after exploring Quebec City. I do not recommend. This place was not okay. I did not feel safe and did not stay longer than 20 minutes. I was told i would be in an all female dorm with only 1 other woman.. within 5 minutes of opening the door (only a simple code lock...) a strange man walked in. He had a suitcase hidden behind a mattress. He was not friendlyand i felt very unsafe and uncomfortable. The whole place has a very creepy feeling. It was nearly empty and very dirty. Not recommended!